Who is it for? 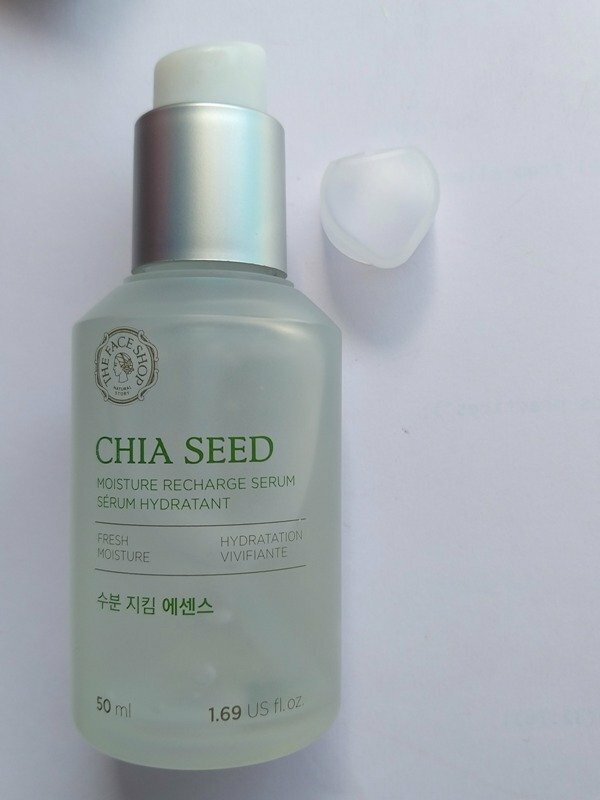 The Faceshop Chia Seed Moisture Recharge Serum is a hydrating serum for all skin types that is not at all sticky and leaves skin soft. After toner, pump into your palm and gently apply to face. For use as intense care apply to face when skin is slightly damp after cleansing. The packaging is very classy and sturdy. The serum comes in a matte bottle with all the details mentioned. It has a pump which makes it very convenient to apply. The pump also has a separate cap. The serum is transparent in color and has a gel-like consistency. It is neither too runny nor too thick. It smells really fresh. The fragrance is very light but amazing. This serum instantly gets absorbed into your skin. And this does not feel heavy at all, it feels the very lightweight as if you have nothing on your face. It is not at all sticky. I require about 2 pumps of the serum for my face. It makes my skin soft. Overall it performs well and leaves your skin soft. Does not feel sticky at all. Very classy packaging, easy to carry as well. If you want to invest in a good skincare product then this is the one for you.